Bags for Large Cyclovac Central Vacuums. Paper. 3-Pack. 3-pack of paper disposable capture bags for Large Cyclovac central vacuums. Bags for Nutone Central Vacuums. Paper. 3-Pack. Bags for Numatic Central Vacuums. 3-Layer HEPA 11. 2-Pack. Bags for Beam Eureka Central Vacuums. Paper. 3-Pack. 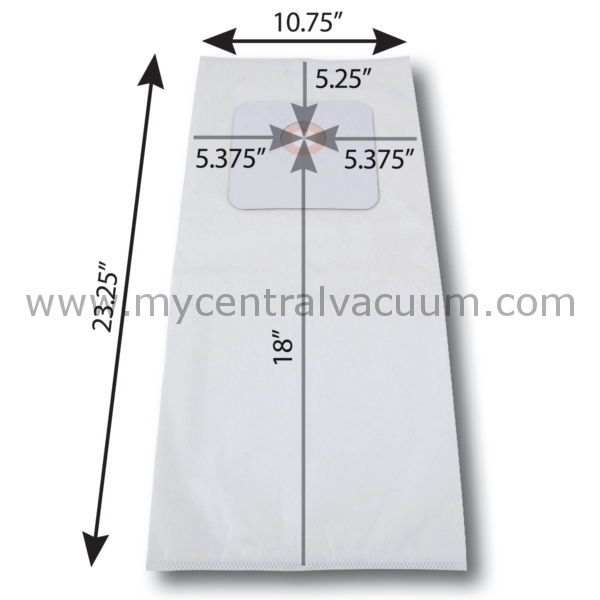 Bags for Vacumaid-Astrovac Central Vacuums. 3-Layer HEPA 11. 2-Pack. Bags for Numatic Central Vacuums. Paper. 3-Pack. Bags for Beam Eureka Central Vacuums. 3-Layer HEPA 11. 2-Pack. Replacement Belt for CT20 Electra Power Brush Bags for Small Cyclovac Central Vacuums. 3-Layer HEPA 11. 2-Pack.